It may have snowed this week, but spring is just around the corner. For many, spring is a time to refresh and recharge their lives by cleaning, organizing, and tackling projects on a growing to-do list. 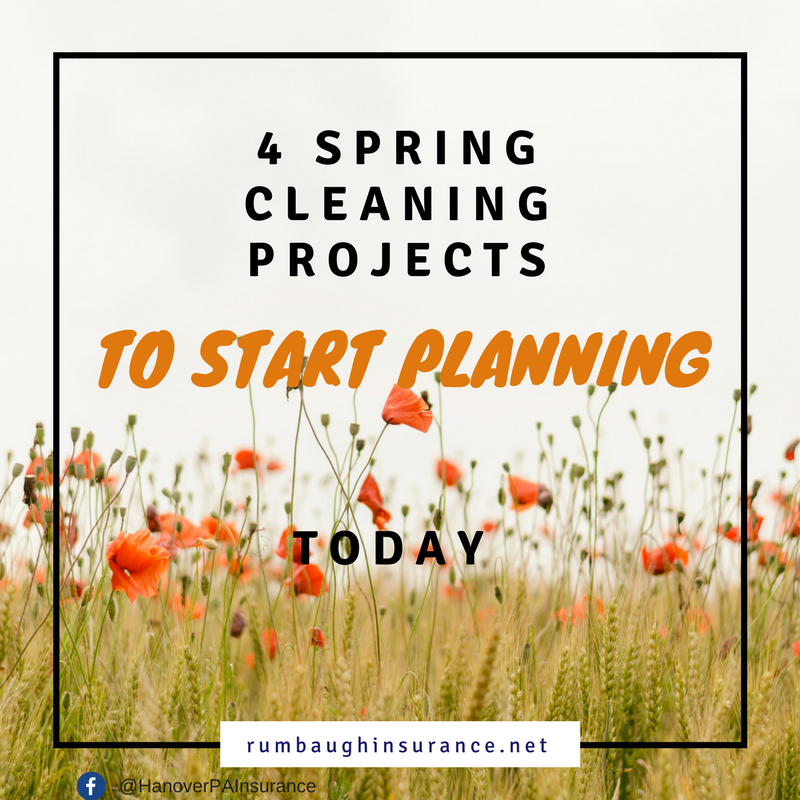 Spring cleaning projects sound time-consuming but are well worth the feeling of accomplishment you get from crossing each task off your list. The good news is that a few steps to plan, organize, and gather everything you need beforehand save you a lot of time. Here are 4 of the most popular spring cleaning projects with a checklist of everything you need to now to save time and money in 2017. Read through it and then use the tips to create a personalized list for your major spring projects. Refill grout lines. Over time grout wears away or stains easily. Give it a facelift this spring by resealing. Polish metal hardware. Scratches and fingerprints are a part of life when you have children. Take the time to polish and fix scratches on door knobs, handles, and other hardware. Clean the windows. Again, the fingerprints! Spring is the perfect time to wipe them away. Wax floors or furniture. Make sure your floors and furniture shine with a fresh coat of wax! Say goodbye to the clutter. Remove everything from the areas you want to declutter (one at a time). Put back items you often use (daily, weekly, or monthly). Make a pile of the things you haven’t used in more than a year. Donate or throw these away. Make a pile of items you use yearly. Is there another area in your home that makes sense for these items like a basement or storage area? Walk around your house to look for projects you don’t know about yet. Did any of your siding or shingles get damaged in the winter weather? Do you need to fill any low spots with dirt? Did any animals cause damage to the foundation of your house? Make a list of these projects. Wash rugs, slipcovers, and curtains. Wipe down walls and ceiling. Remove all figurines and books from shelves to dust. Clean out the dryer hose and wash the lint trap. Move your refrigerator away from the wall to clean. These are just a few ideas to get you in the spring cleaning spirit. Use these ideas as a guide to create your spring cleaning plan. Once you do, create a list of any items you need to buy and schedule a date to make the trip to the store.